A” plumber,” Calvin Dover was earlier today (May 18, 2018) trailed to a house on Bent Street, Georgetown and killed by police. This was hours after he reportedly fled the scene at a mini supermarket on D’Urban Street where his accomplice was killed during an attempted robbery. Dover was killed after an exchange of gunfire with lawmen. 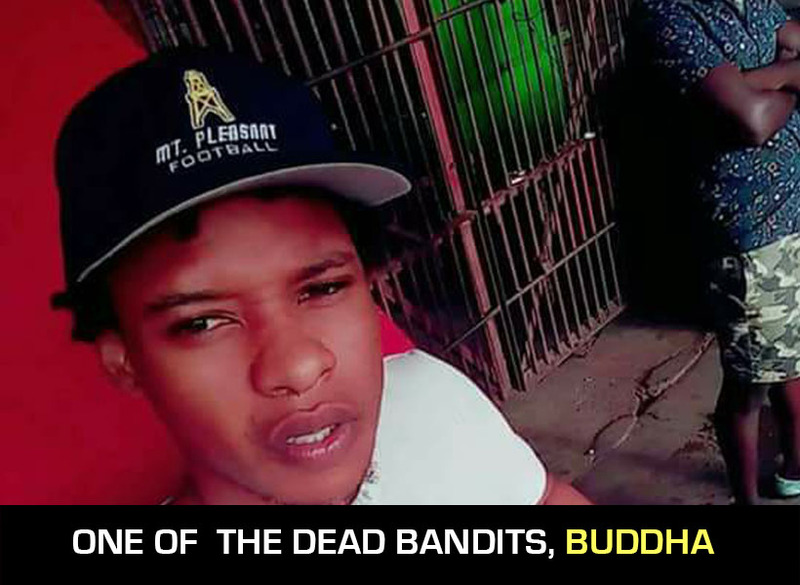 While information is sketchy at this point, the Guyana Standard has been informed that Dover and his accomplice, Buddha (only name given so far) from Agricola, East Bank Demerara (EBD) went to the mini supermarket earlier today to purchase phone cards. While in the supermarket, the staff reportedly observed that the pair were acting in a suspicious manner and paid keen attention as they left the business place and walked towards their parked motorcycle. The owner of the business was immediately alerted. This news agency has been told that after exiting the mini supermarket, Dover reportedly hopped onto his motorcycle while his accomplice turned back and went to the premises armed with a handgun. He reportedly went to the cashier and demanded that she handed over the day’s sale. It was at this point that the young bandit was shot dead. It is unclear as to whether it was the owner who fired the shots. Reports are that upon hearing the gunshots, Dover fled the scene. He was later cornered and killed on Bent Street.